Harrier Search was founded in 2018 by Henry Venmore-Rowland. Henry was the first non-technical employee of Luminance, a LegalTech startup that in less than 2 years has become a market leader as an AI platform for document review, used by over 80 firms worldwide and 10% of the Global Top 100, with a valuation of $50m. As Director of Business Development and Operations, Henry gained a unique insight into the growing appetite the legal world has to embrace proven technology that can enhance their business. Before joining Luminance, Henry worked as a Consultant for AGL Communications. He was mentored by the late Anthony Gordon Lennox, the favoured consultant for Prime Ministers and princesses. Ant’s core belief was authenticity: people communicate at their best when they have the courage to be themselves. Henry has worked with business leaders and politicians in interview preparation and speechwriting, giving them the confidence to put their best foot forward. 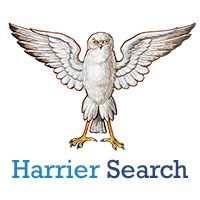 Ant’s very human approach sits at the very heart of Harrier Search.